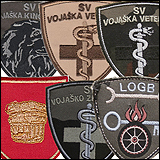 Slovenska vojska je od 2003. profesionalna vojska. 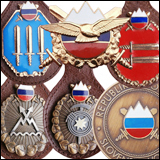 Vrhovni zapovjednik je Predsjednik Republike Slovenije, dok je operativno zapovjedanje u domeni zapovjednika generalštaba Slovenske vojske. 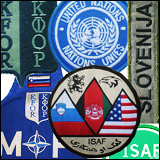 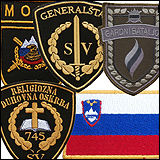 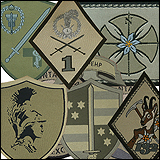 The Slovenian Armed Forces (also Slovenian Army; officially Slovene: Slovenska vojska; SAF/SV) are since 2003, organized as a fully professional standing army. 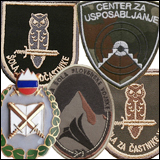 The Commander-in-Chief of the SAF is the President of the Republic of Slovenia, while operational command is in the domain of the Chief of the General Staff of the Slovenian Armed Forces. 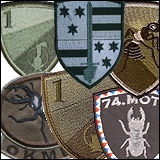 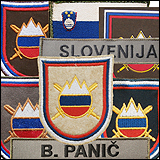 The current Slovenian Armed Forces are descended from the Slovenian Territorial Defence (Teritorialna Obramba Republike Slovenije; or Slovene TO), formed in 1991 by fusion of Territorial Defence (formed in 1968 as a paramilitary complement to the regular army of the former Yugoslavia within the territory of Slovenia) with secret alternative command structure, known as the Manoeuvre Structures of National Protection (Manevrska struktura narodne zaščite, or MSNZ). 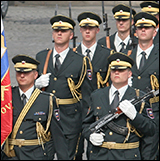 In 2003, the Slovenian Government abolished conscription and as of July 2004, the Slovenian Armed Forces had been almost completely reorganised into a professional army now based on volunteers. 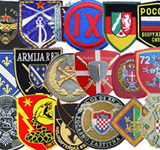 Currently there are approximately 7,600 active troops and approximately 1,700 in reserve, reduced from 55,000 personnel during conscription. 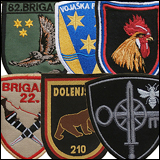 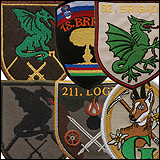 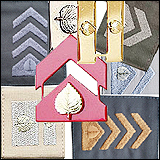 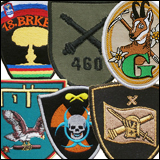 The operational units now consist of three brigades, the 1st, 72nd and an Air Defense and Aviation Brigade; all three are subordinated to the Forces Command. 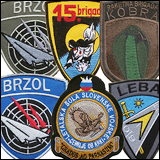 Brigadir Janez J. Švajncer, "Slovenska vojska našitki", Vojni muzej Logatec, 2011. 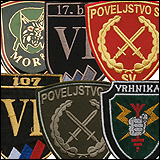 Puk. 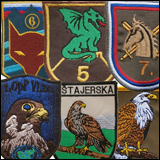 dr. Tomaž Kladnik - "Slovenska vojska v službi domovine"- Defensor 2007.g.